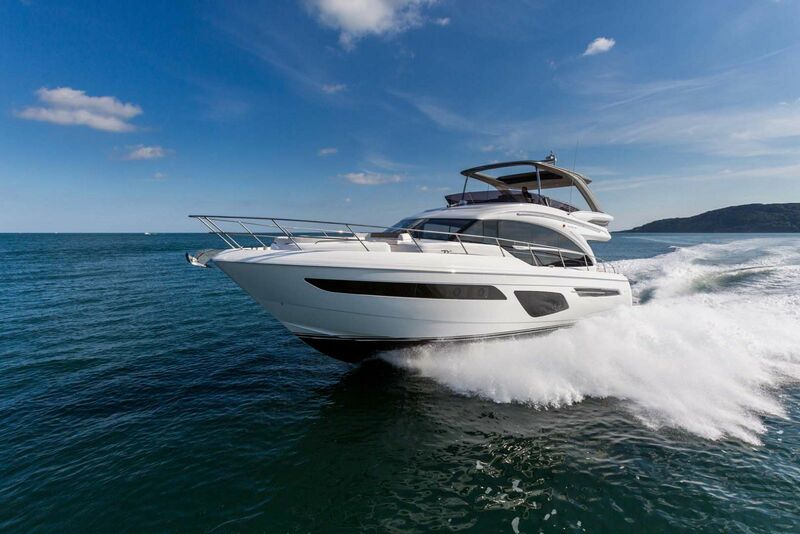 From the moment you step inside the Princess Yachts 35M, it becomes apparent that the Plymouth-based factory knew what it wanted to accomplish in the M-Series. 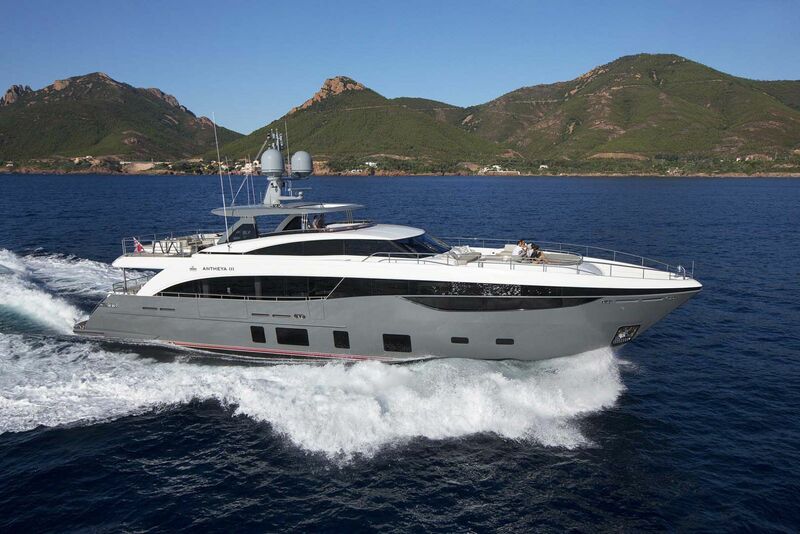 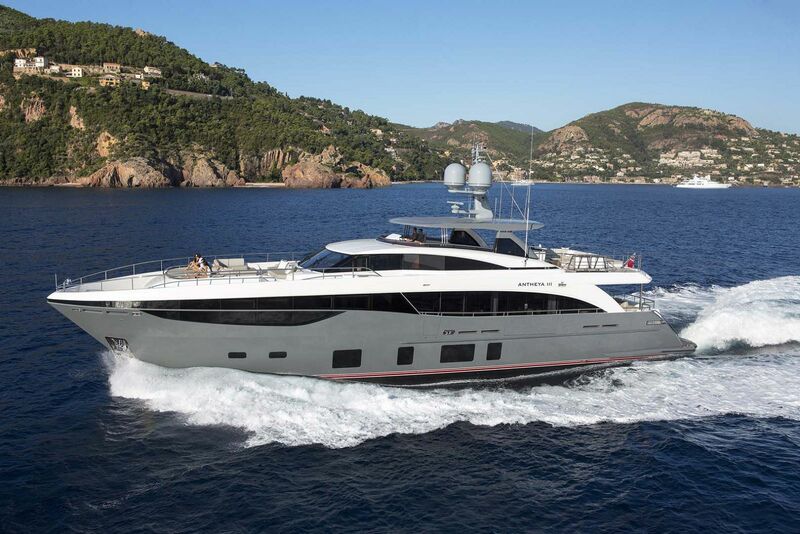 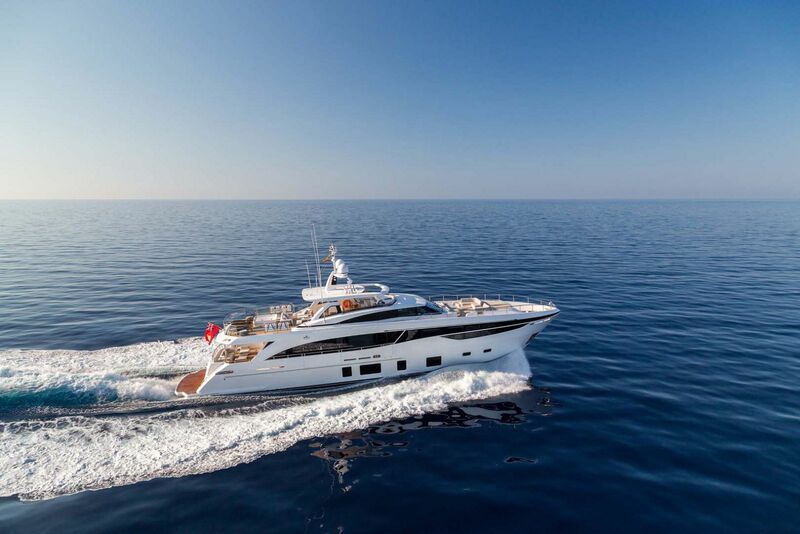 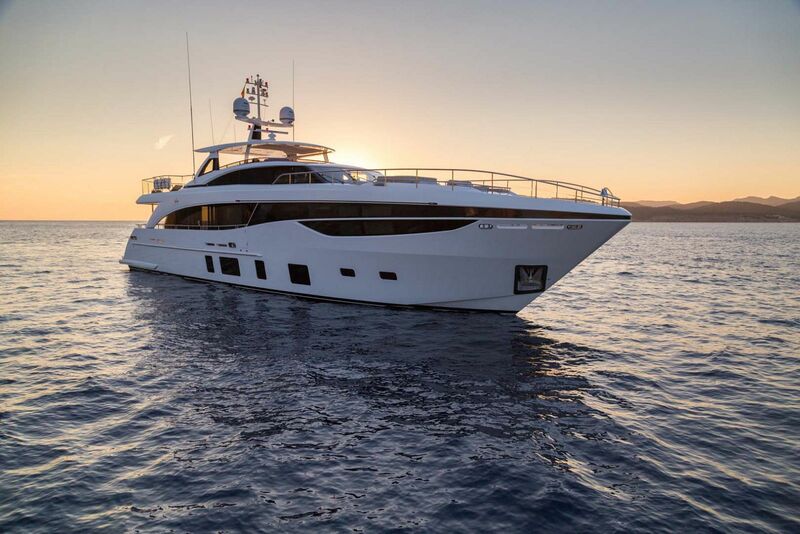 With a need to move customers up from the 80’+ motor yachts into something larger, Princess created the 30M, 40M, and then filled the gap with new 35M. 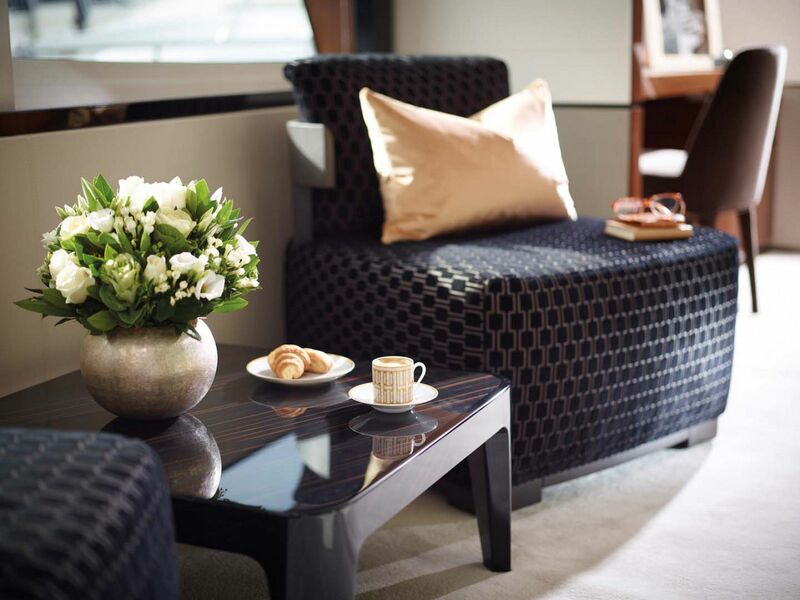 Classically elegant with a touch of modernism, the appointments throughout the salon are luxuriously inviting and the many spaces to relax or socialize seem endless. 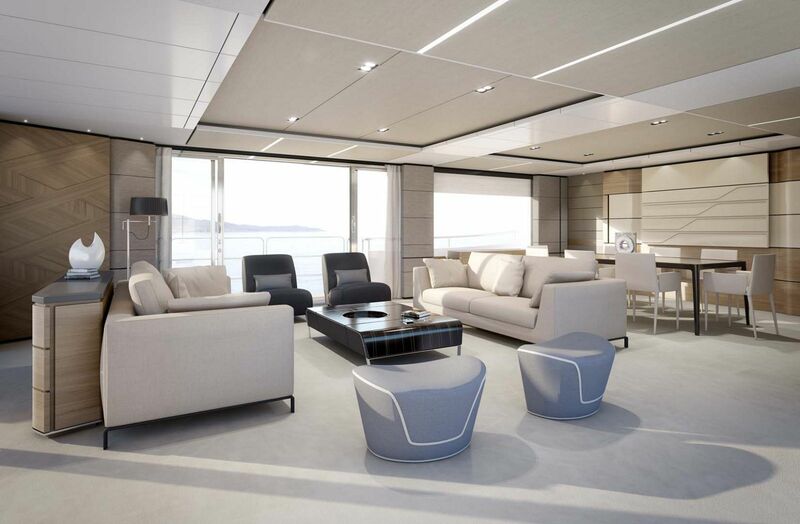 Princess has added an acoustic insulation to reduce noise and vibration whether at sea or resting at anchor. 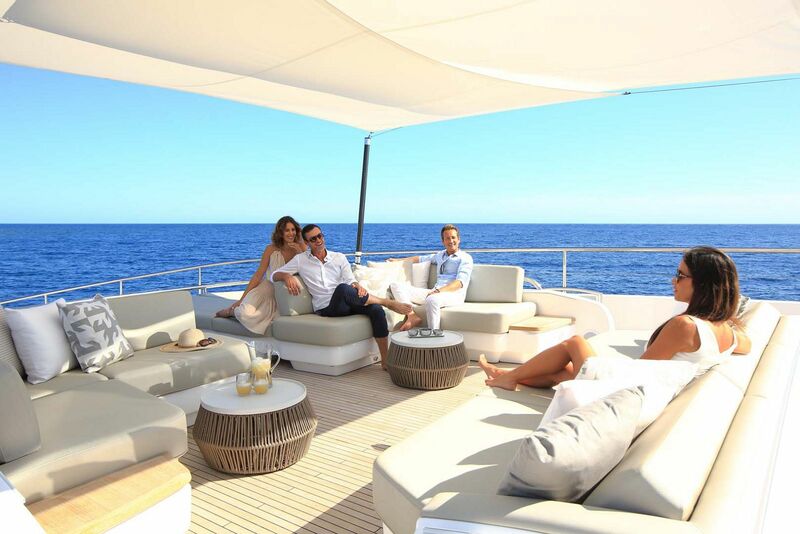 There are multiple places to dine al fresco and enjoy the outdoors while in a comfortable, beautiful setting. 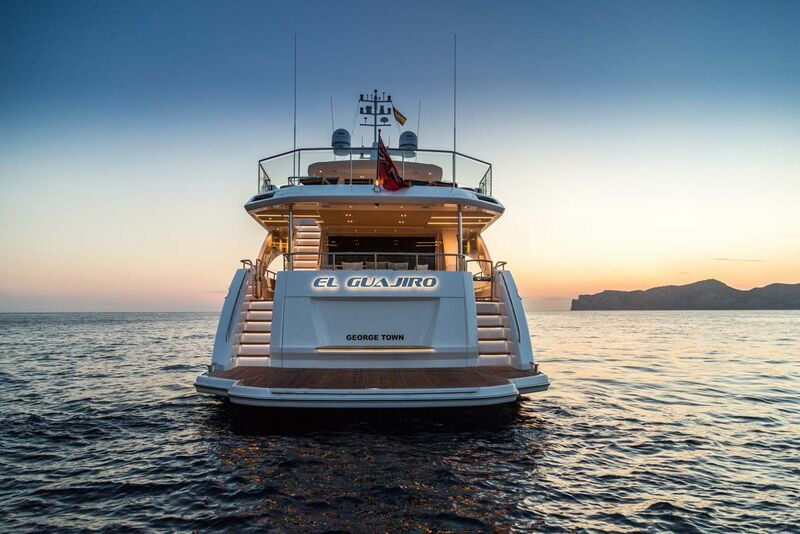 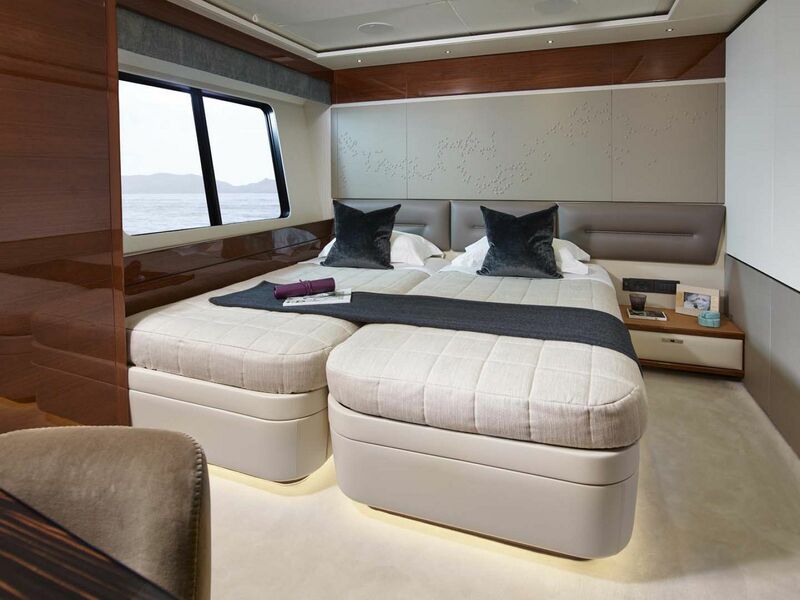 Perhaps the least visible, but more popular features on the 35M is the hydraulic swim platform in back that lowers into the water for your own beach club or for scuba diving. 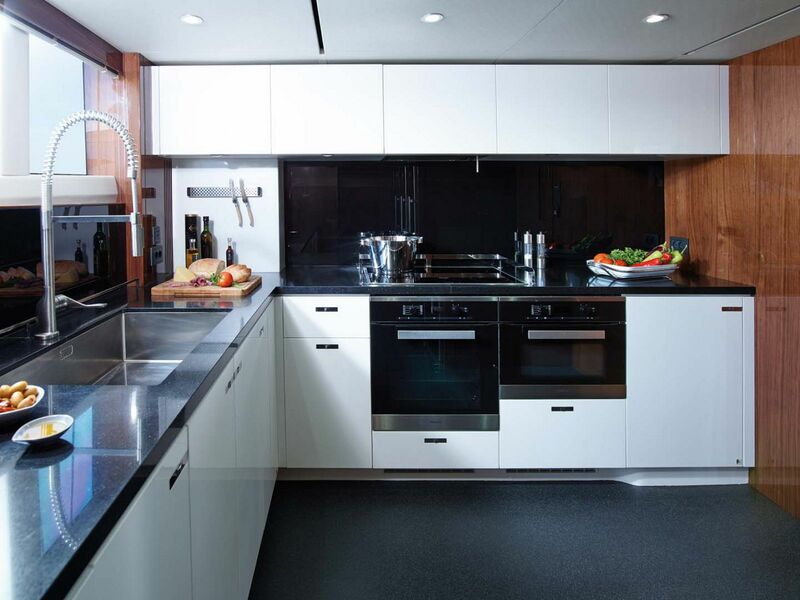 The garage provides plenty of space for storing diving gear and other water toys. 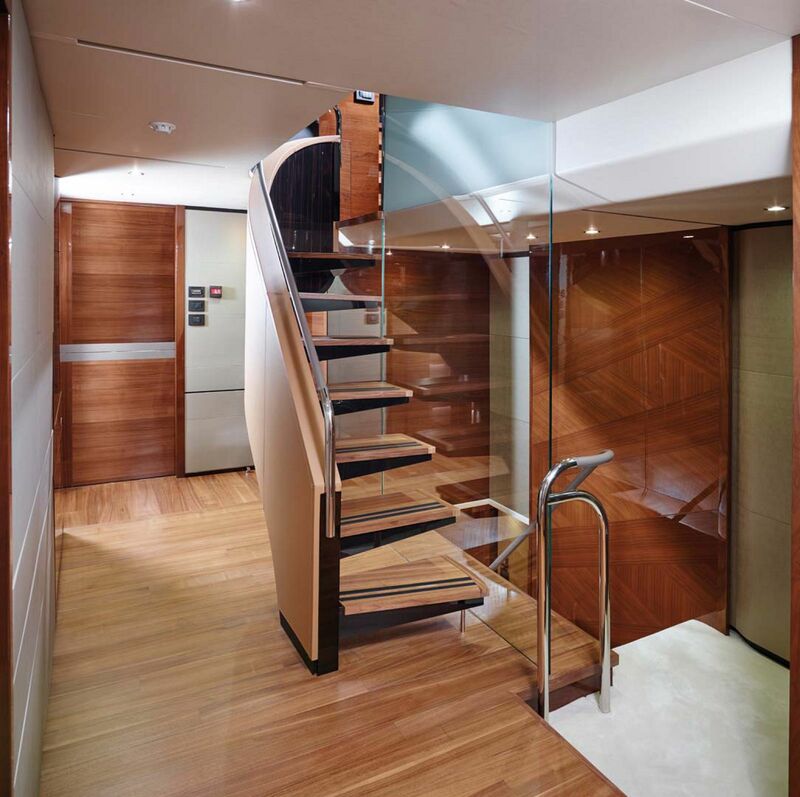 Twin teak staircases lead you up from the platform to the beautiful aft cockpit. 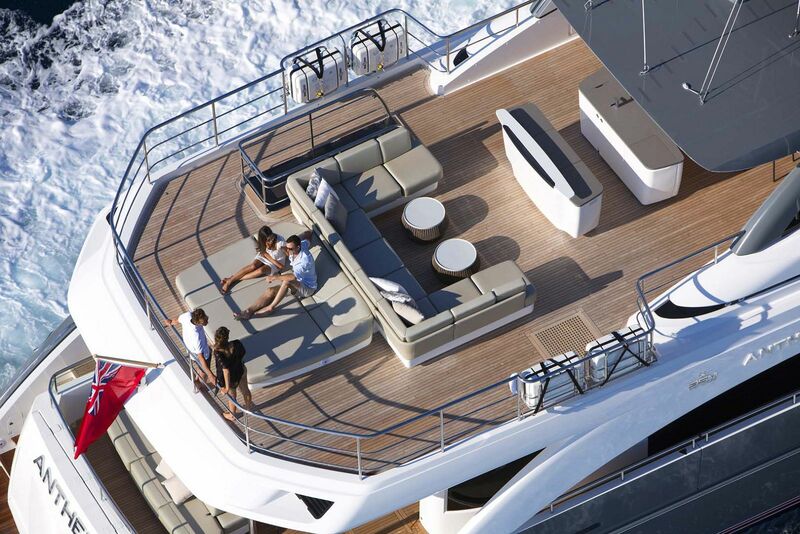 The seating configuration at the stern allows for the guest to face front of back to either join the conversation or the water views. 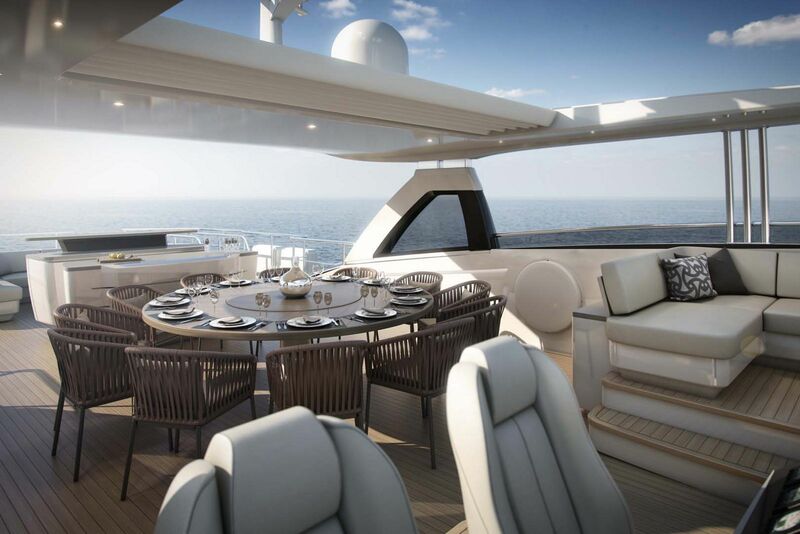 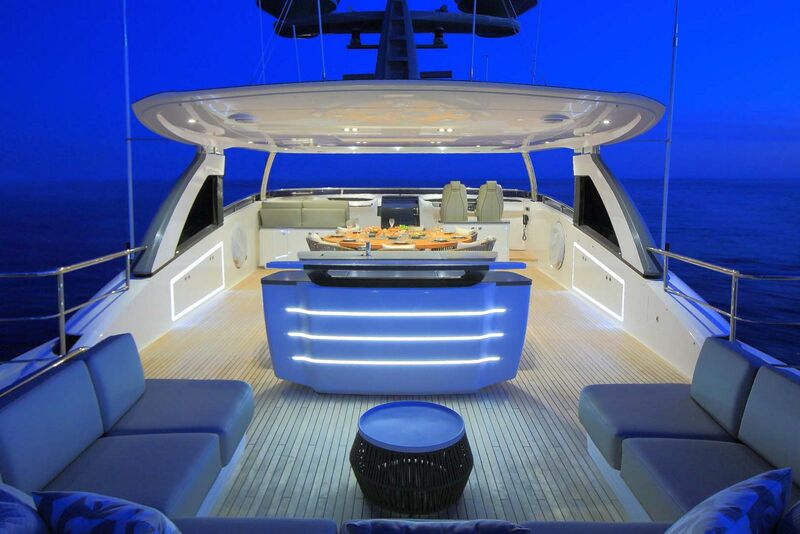 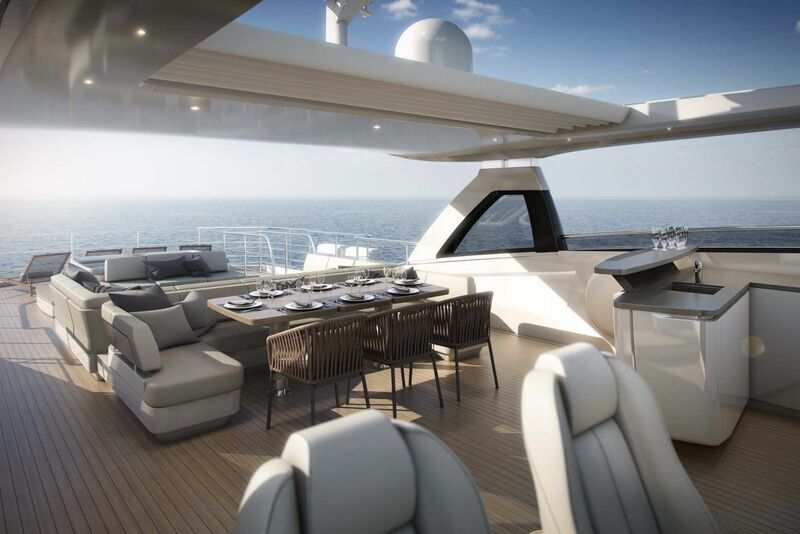 An al fresco dining table that seats six is also accompanied by a wet bar and all is covered by the flybridge overhang for protection from the weather. 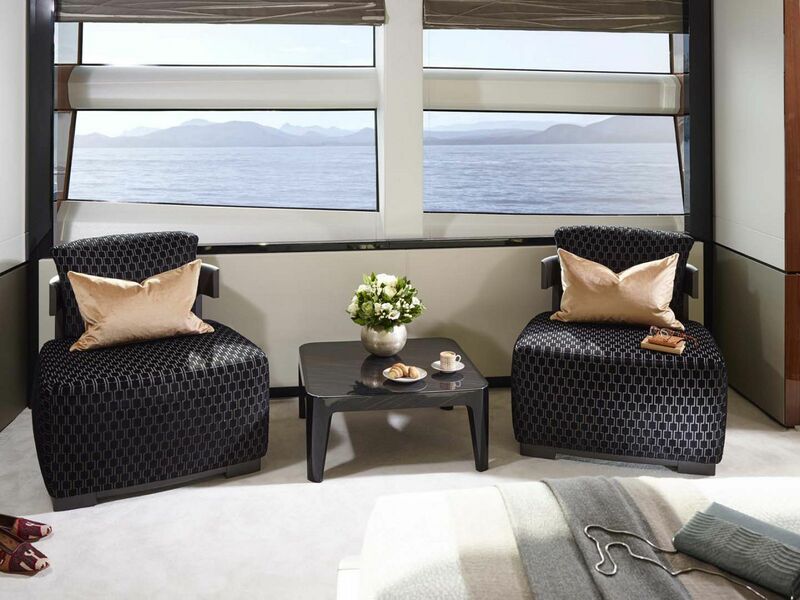 As you walk into the salon you are greeted with two sets of leather sofas facing each other along with several other very comfortable chairs. 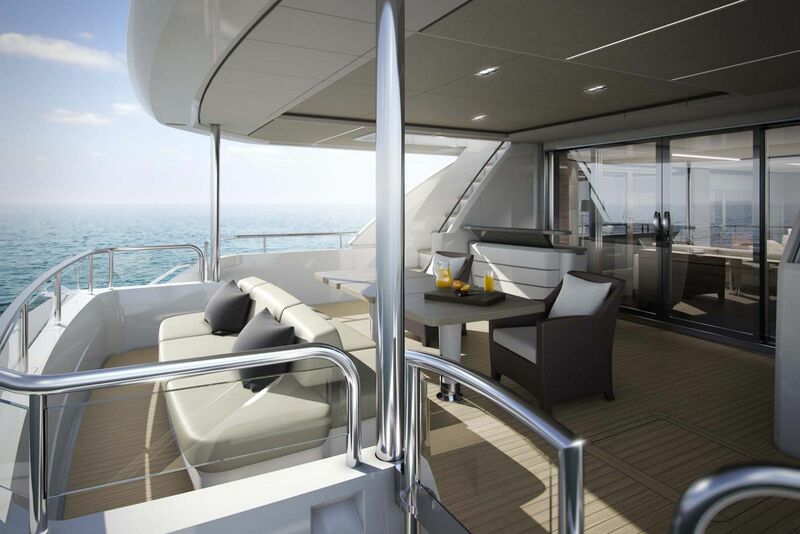 Sliding glass doors are placed both port and starboard that open up to drop-down balconies that provide extra outdoor seating with spectacular water views. 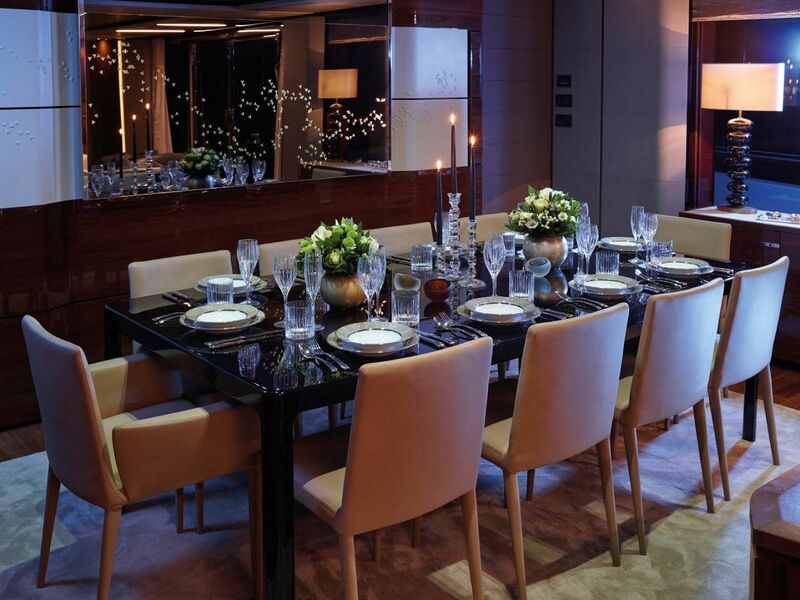 The formal dining table is adjacent to the salon and seats 10 guests comfortably. 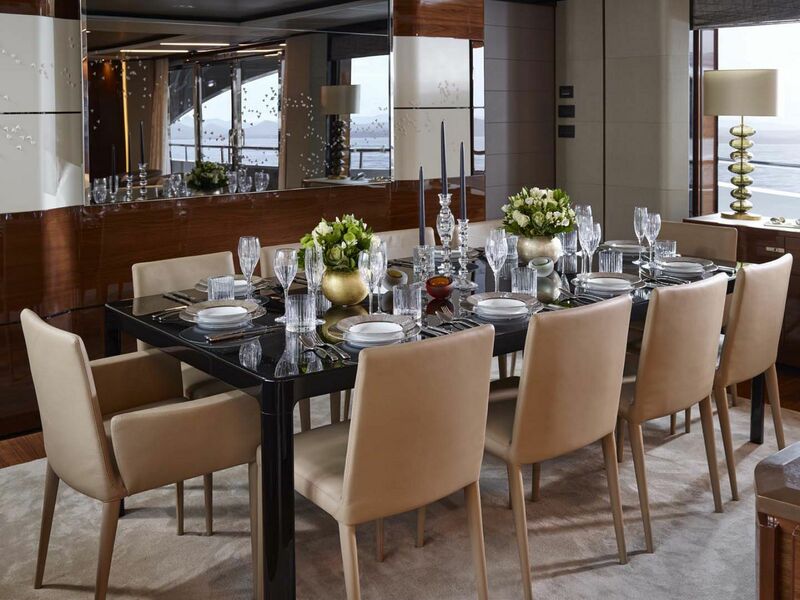 Panoramic windows provide plenty of natural light and there is ample storage throughout the salon and dining area. 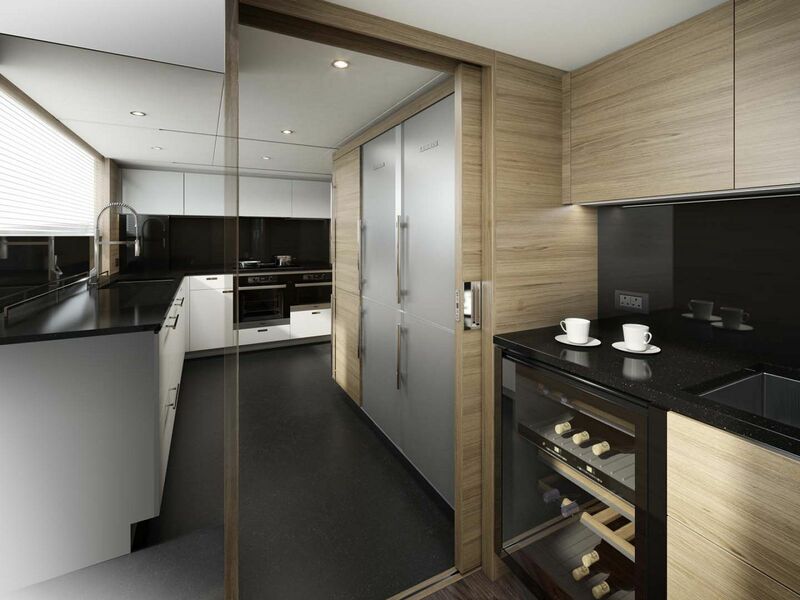 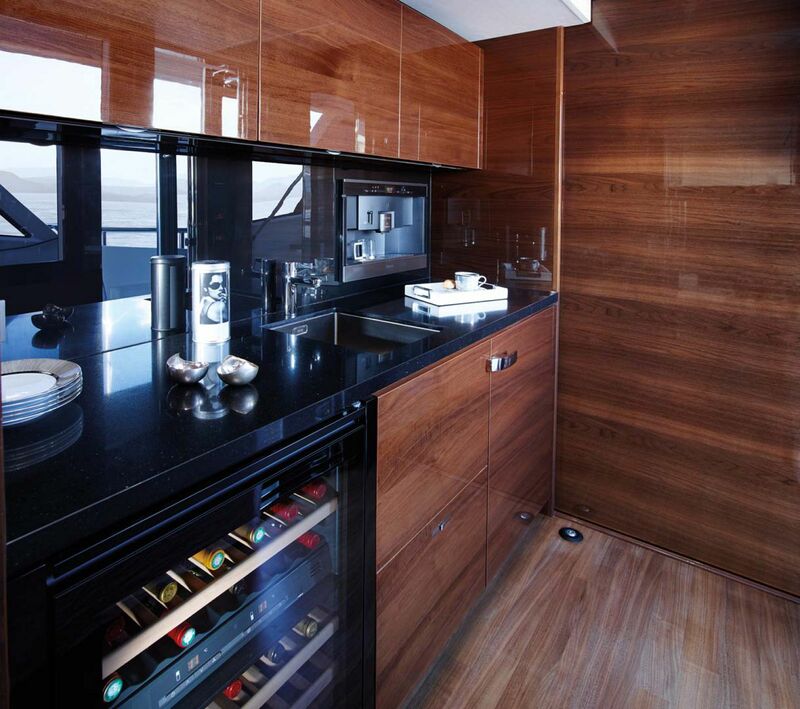 The galley and pantry are a short walk from the dining area and include world-class appliances, lots of refrigeration, beautiful views to enjoy while cooking. 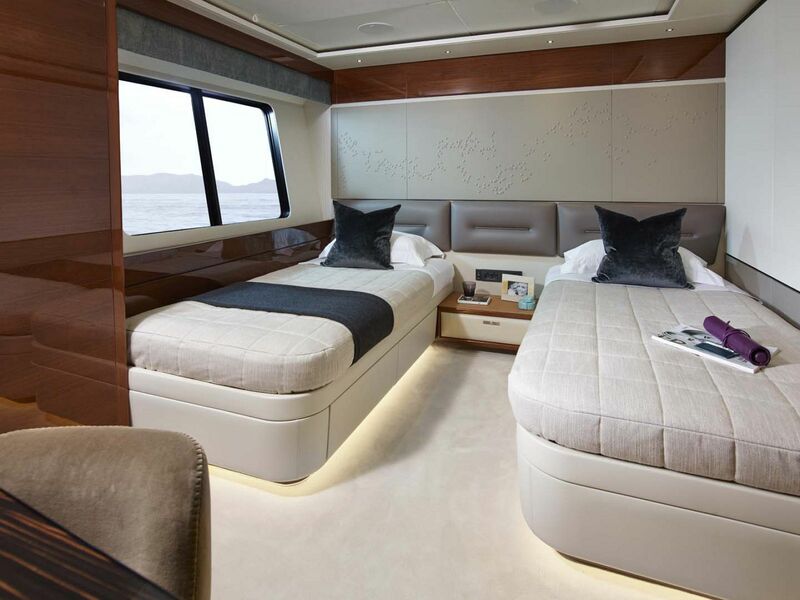 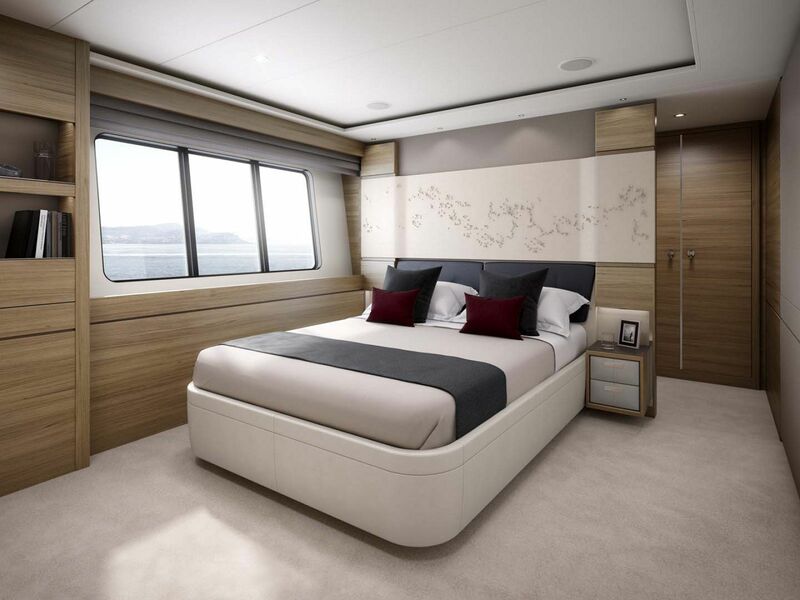 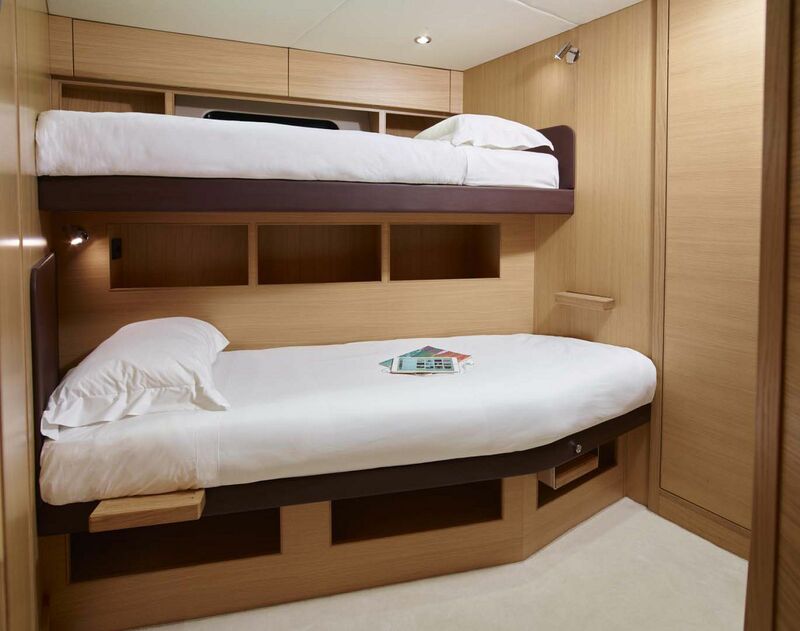 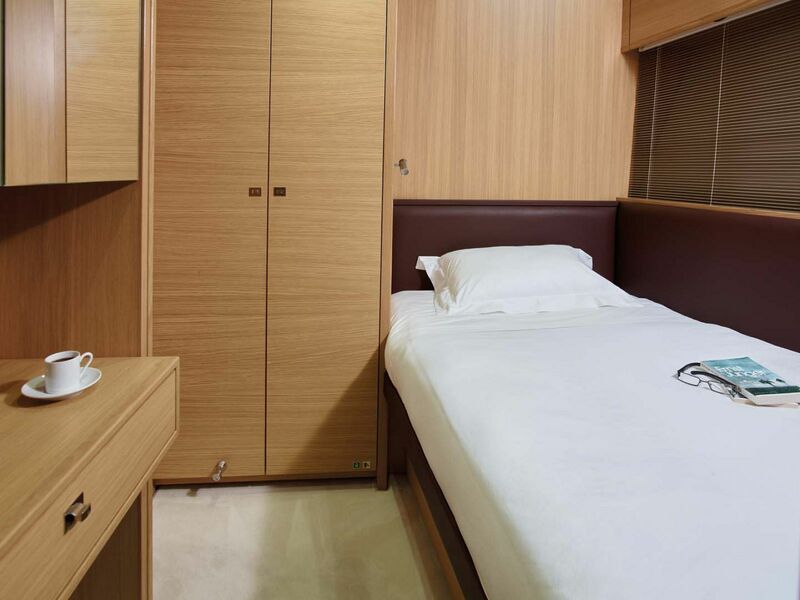 Staying on board the Princess 35M for extended periods is enjoyable with a master suite that feels like home and either three or four additional guest staterooms depending on the selected layout. 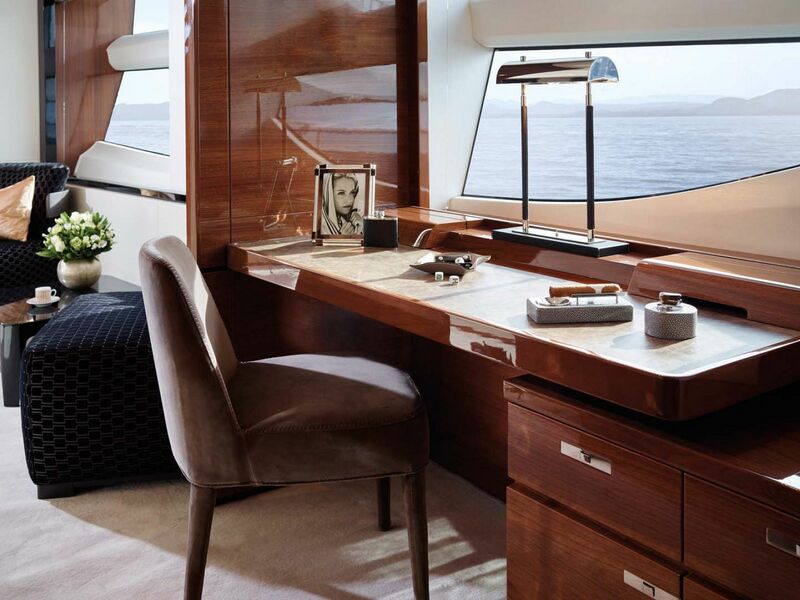 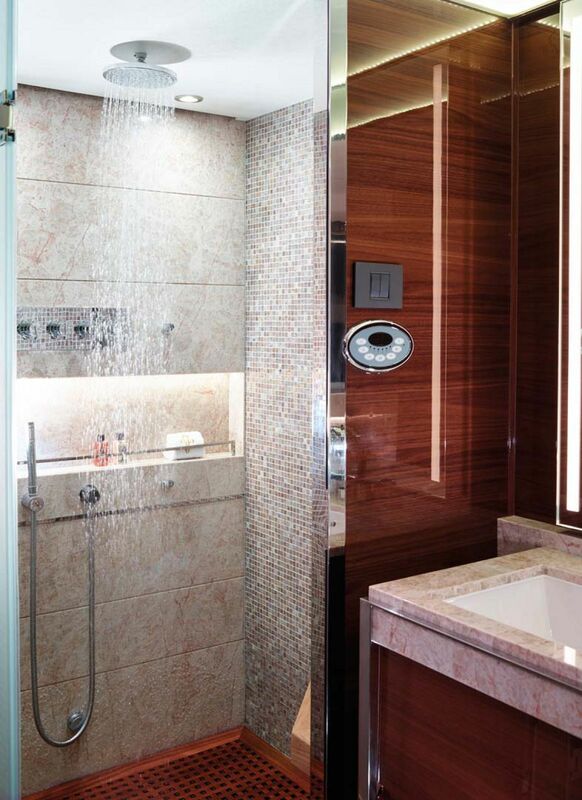 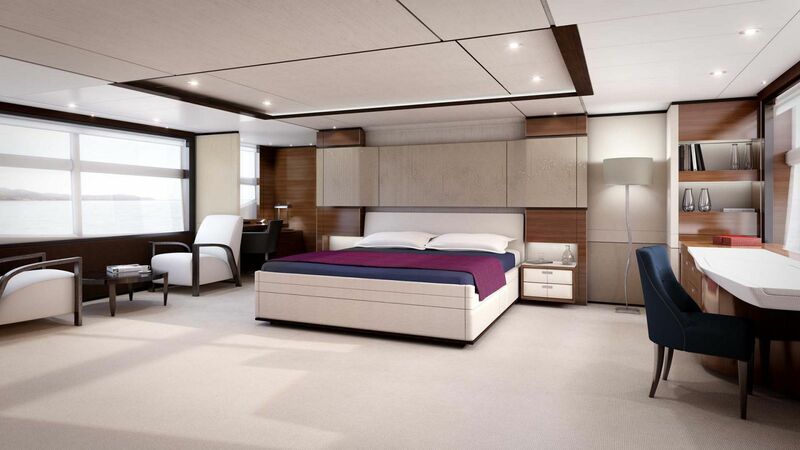 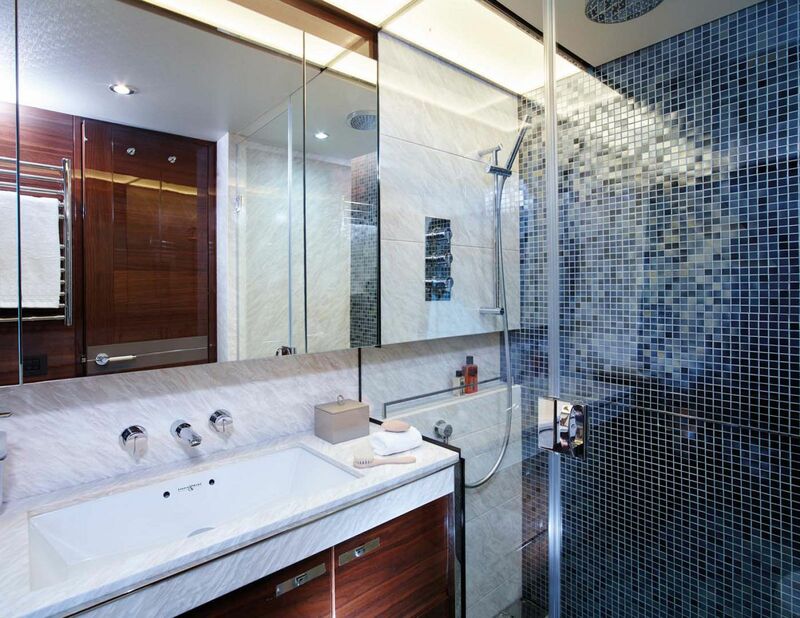 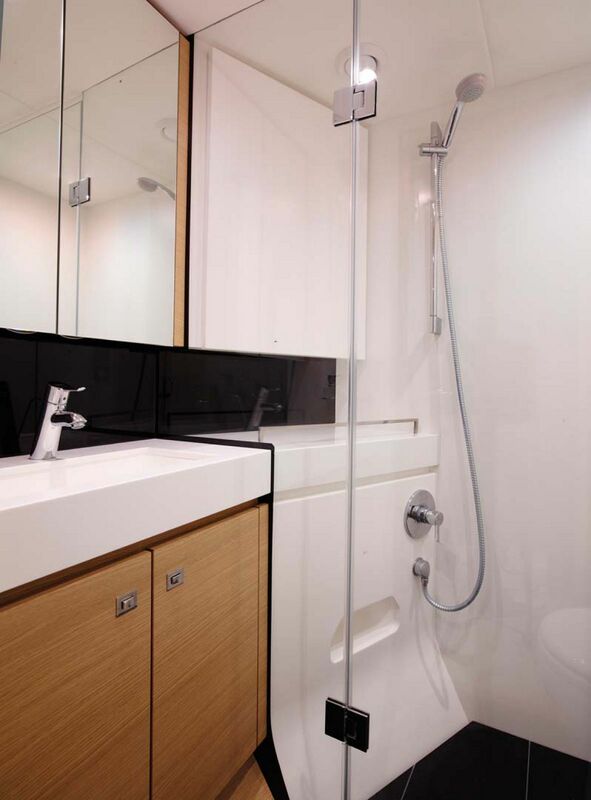 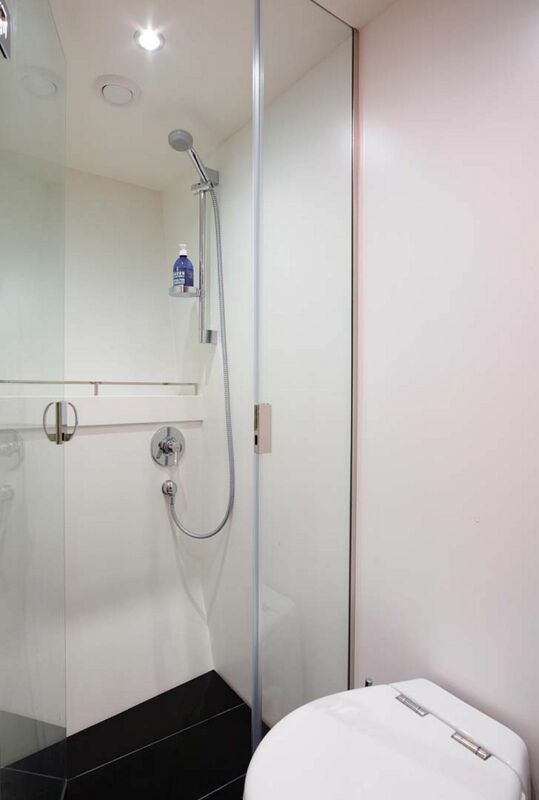 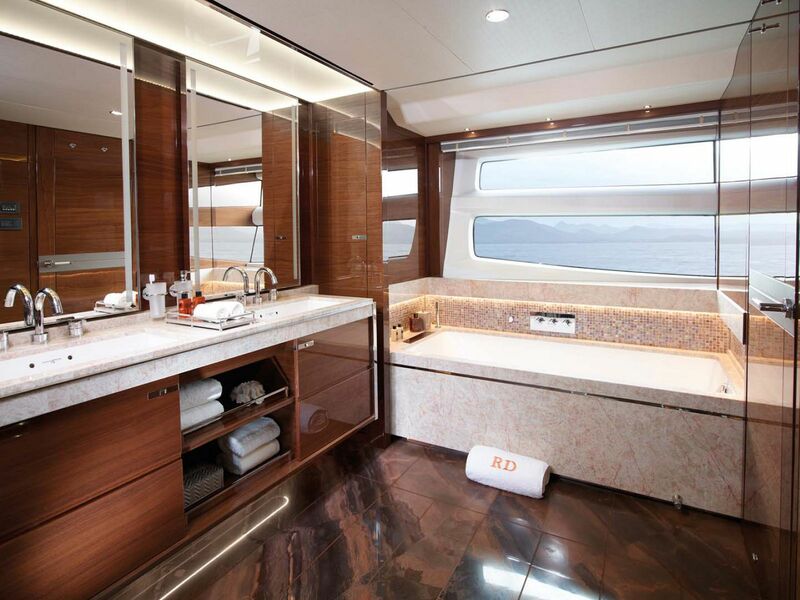 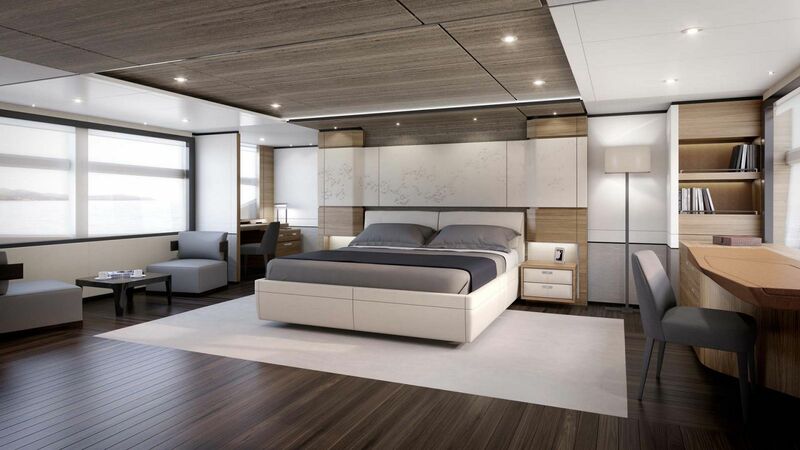 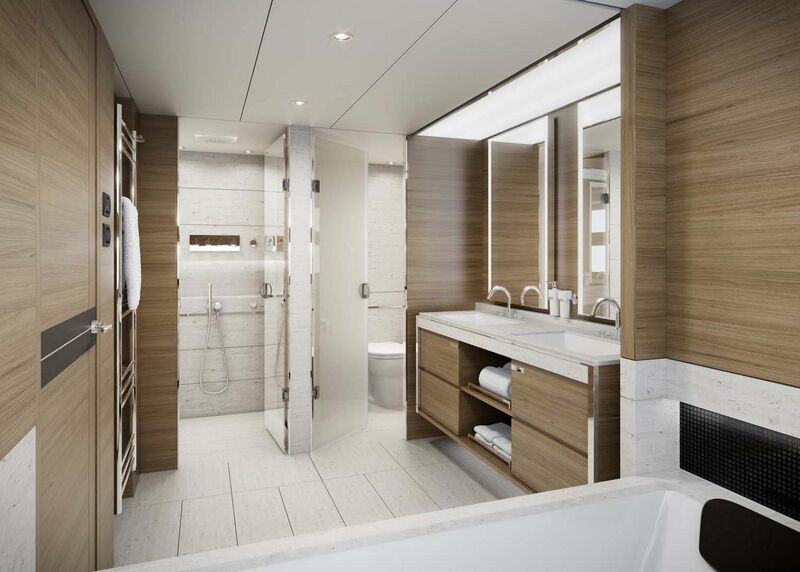 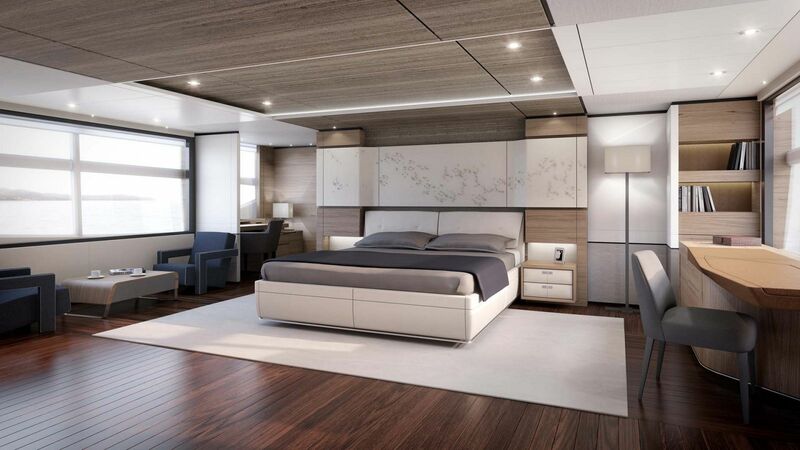 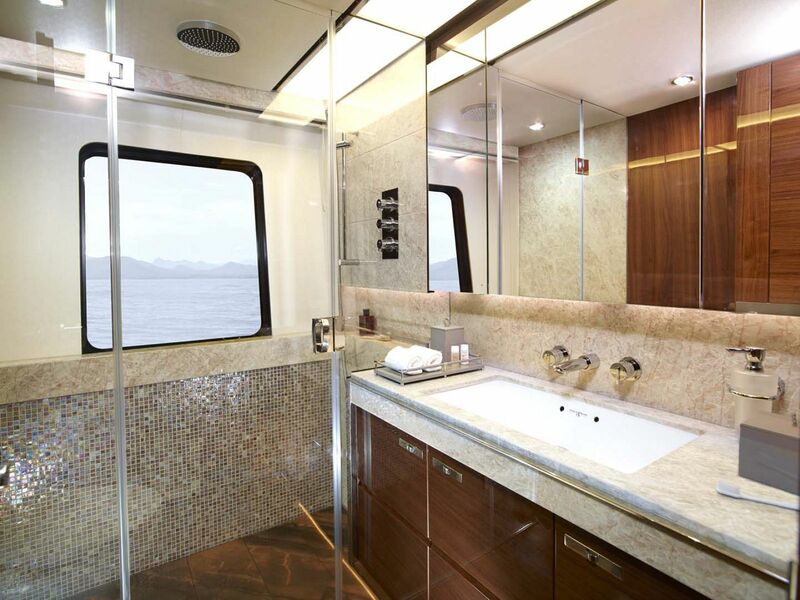 The full-beam master suite is located on the main deck and features a king-sized berth and en suite head with his-and-hers sinks. 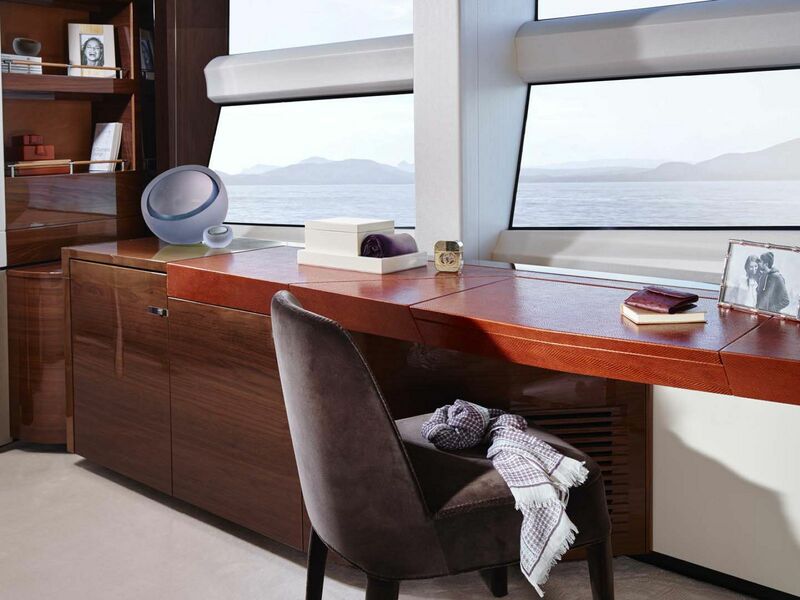 It also features a private office or library, and two large walk-in closets along with lots of natural light from panoramic windows. 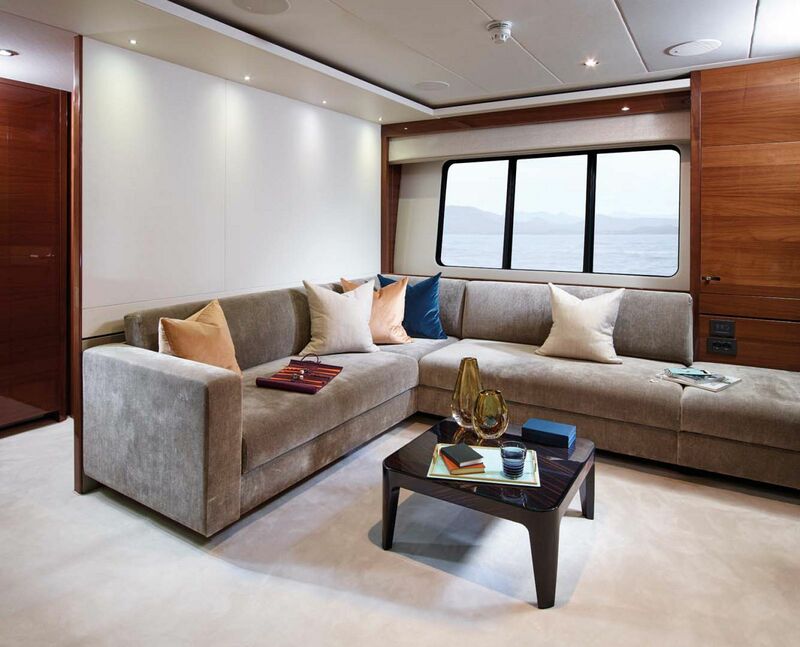 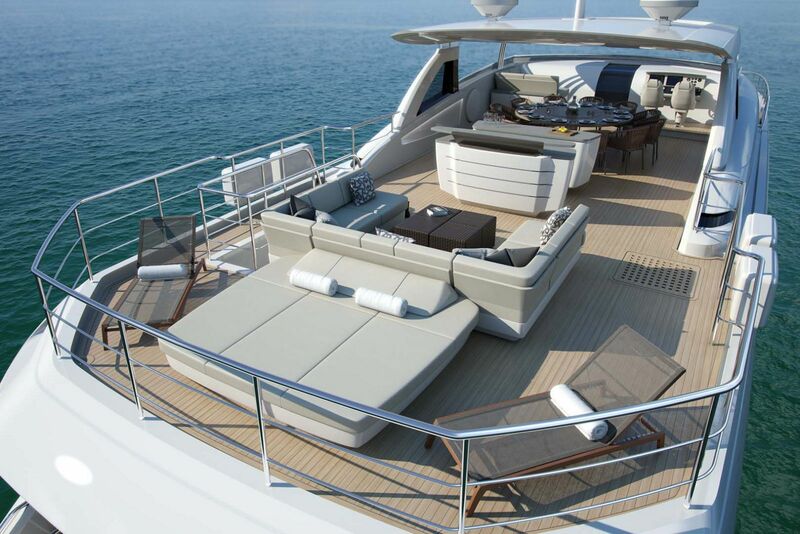 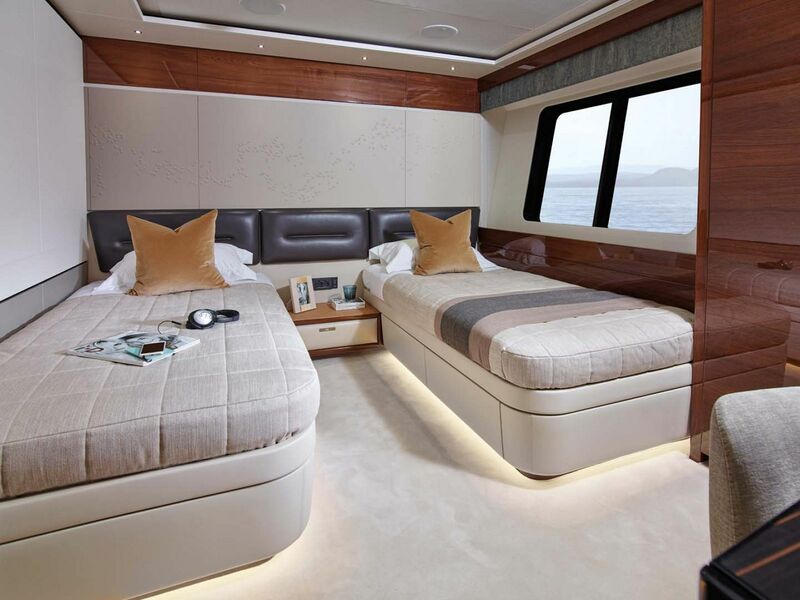 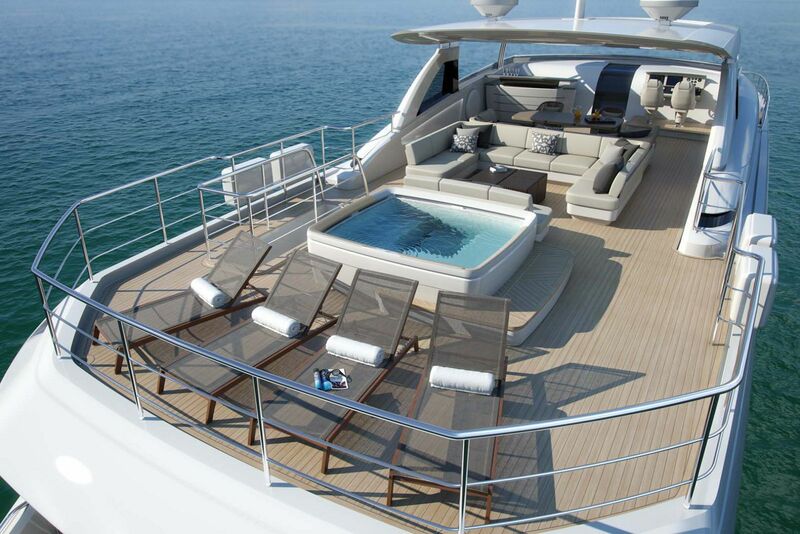 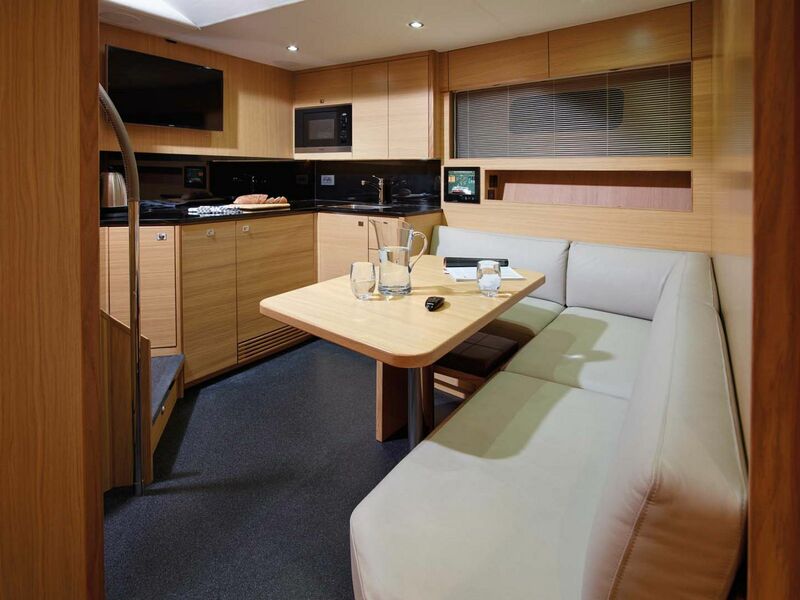 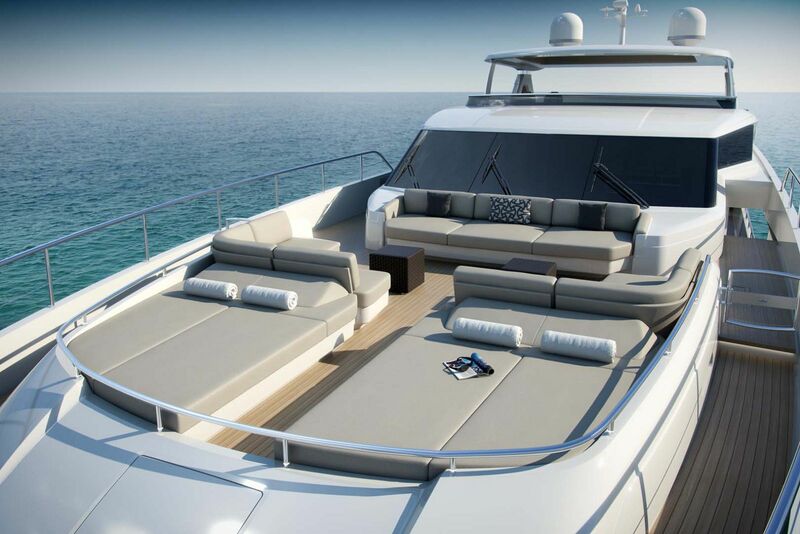 There are so many comfortable places to sit and relax on board the 35M be it on outdoors on the aft deck or inside on a chair in the salon, owners and guests will never want the journey to end. 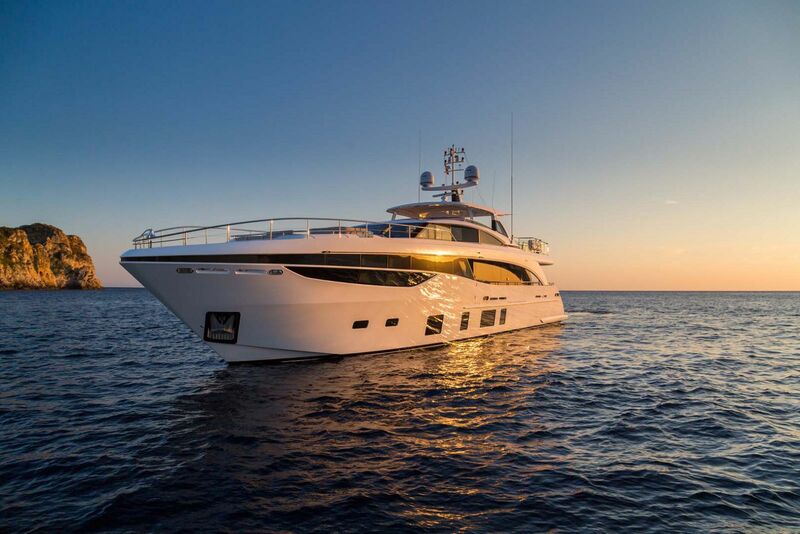 For more information on the Princess Yachts 35M Motor Yacht, please contact your Staten Island Yacht Sales Professional today. 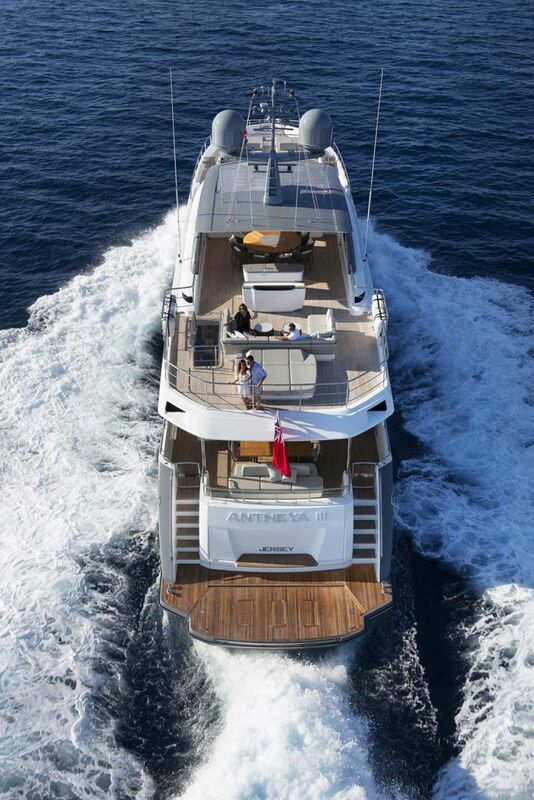 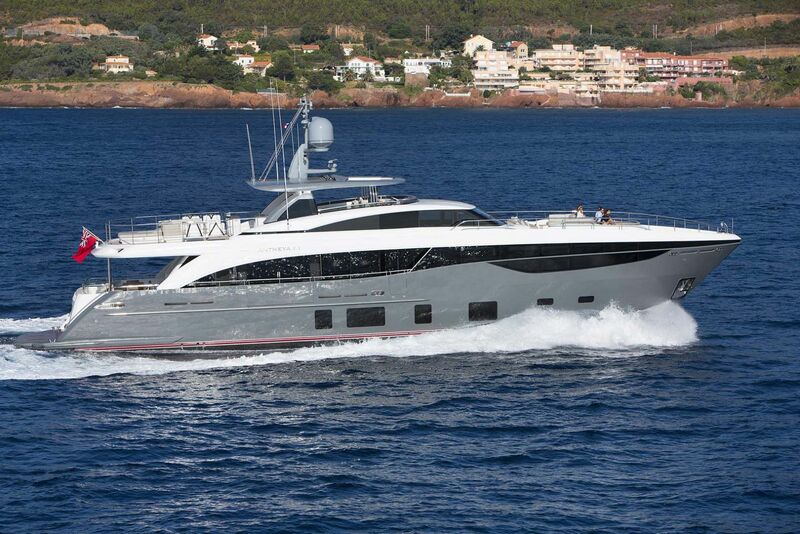 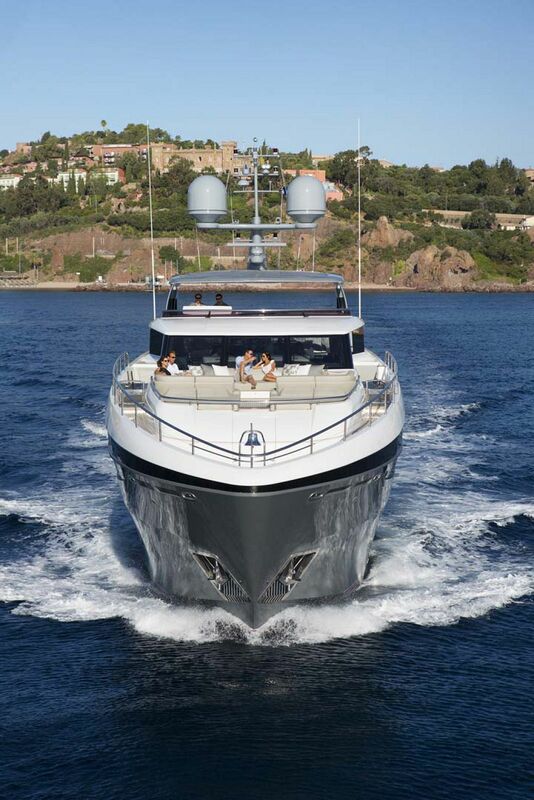 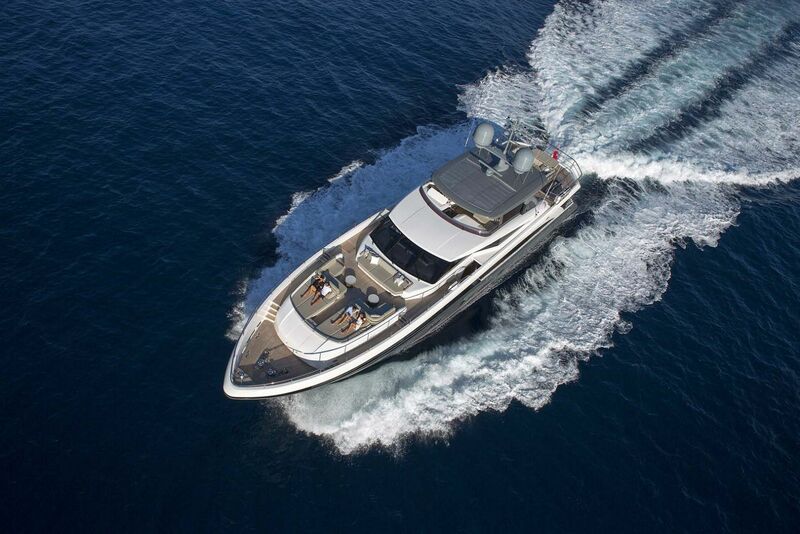 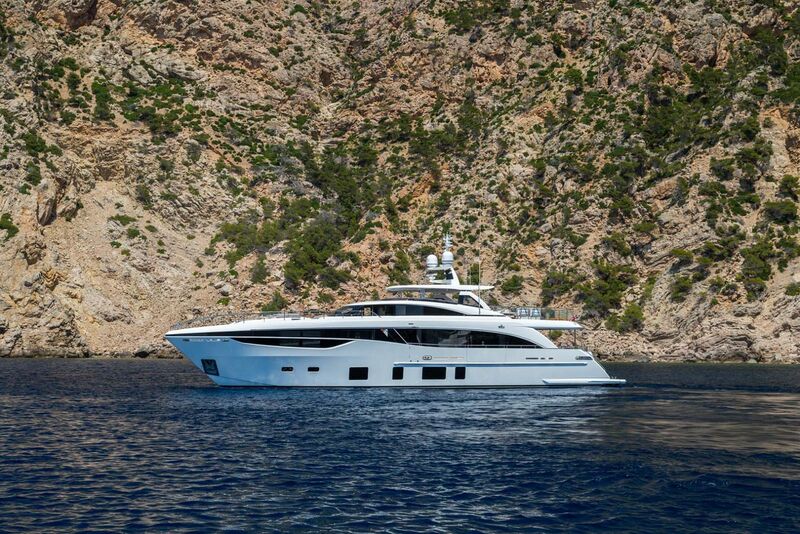 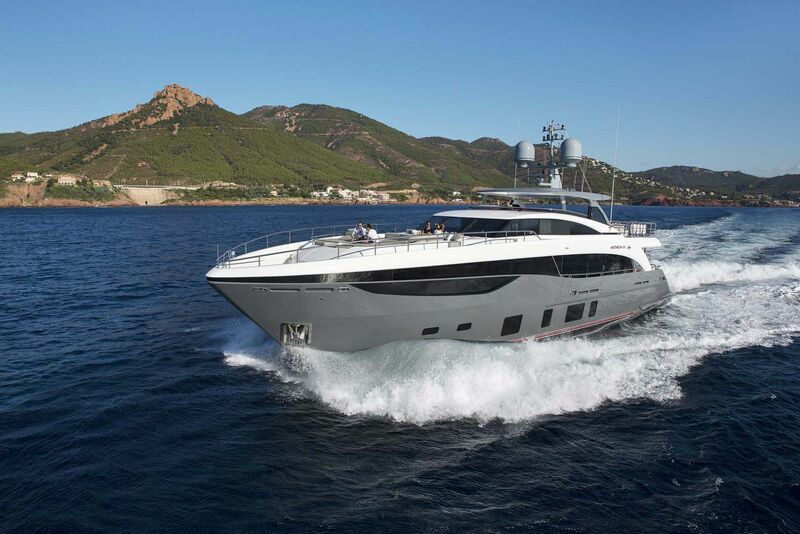 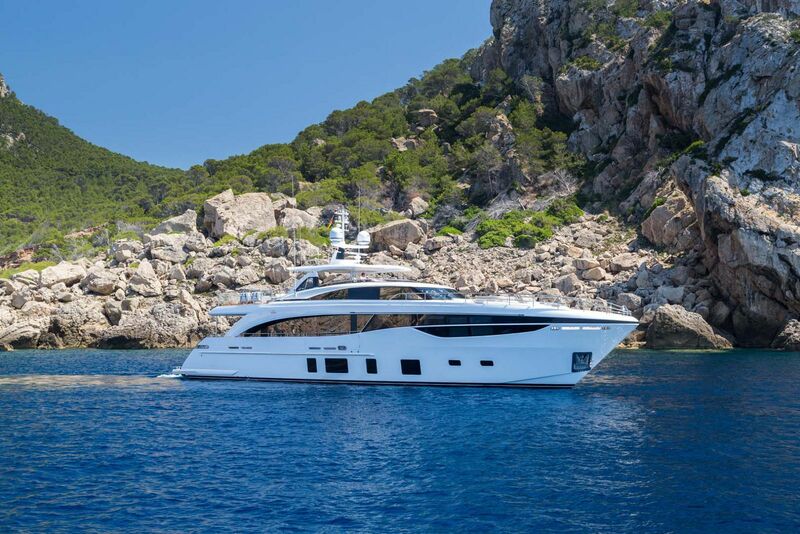 Boat International Magazine reviews the Princess Yachts 35M. 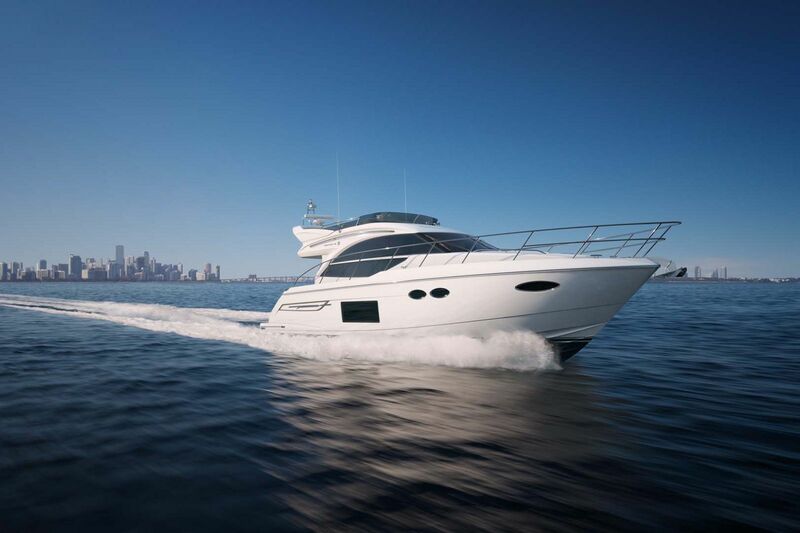 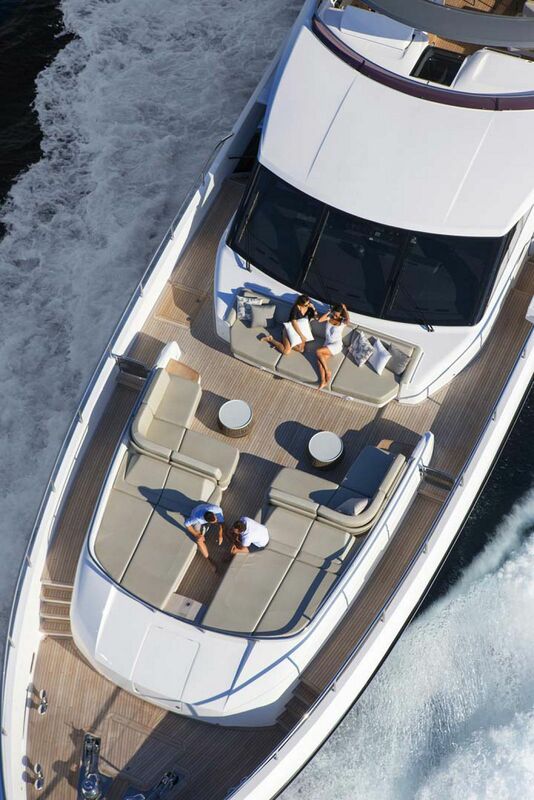 Motor Boat and Yachting Magazine review the new Princess Yachts 35M. 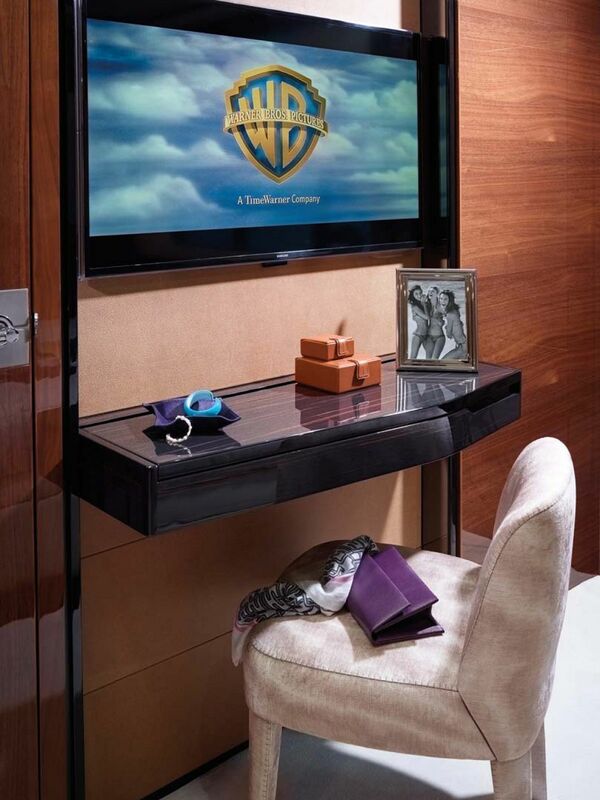 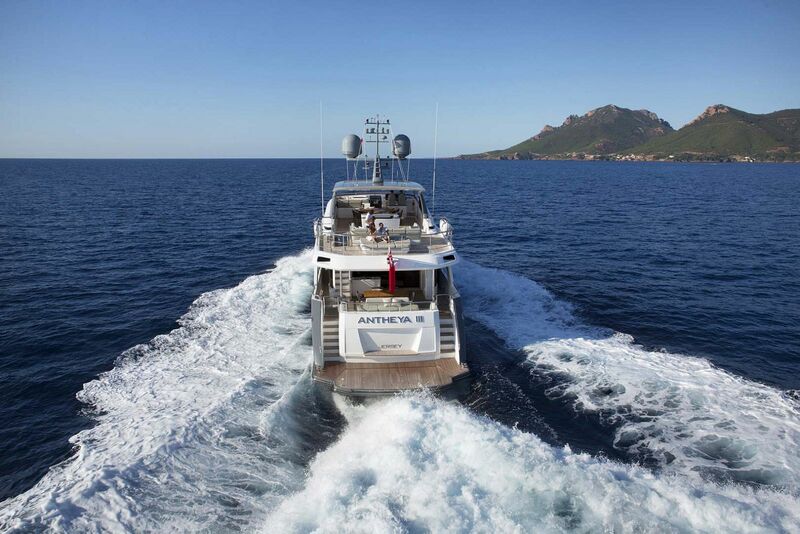 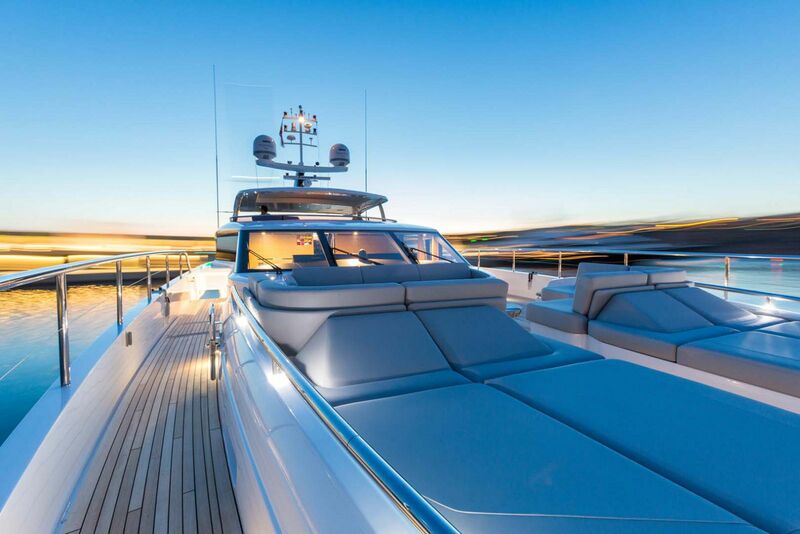 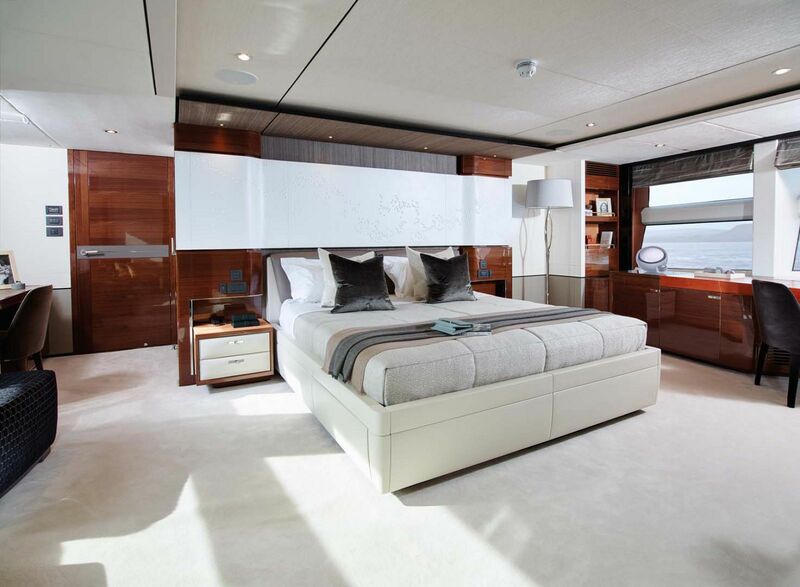 Princess Yachts released this amazing trailer video on the 35M Superyacht. 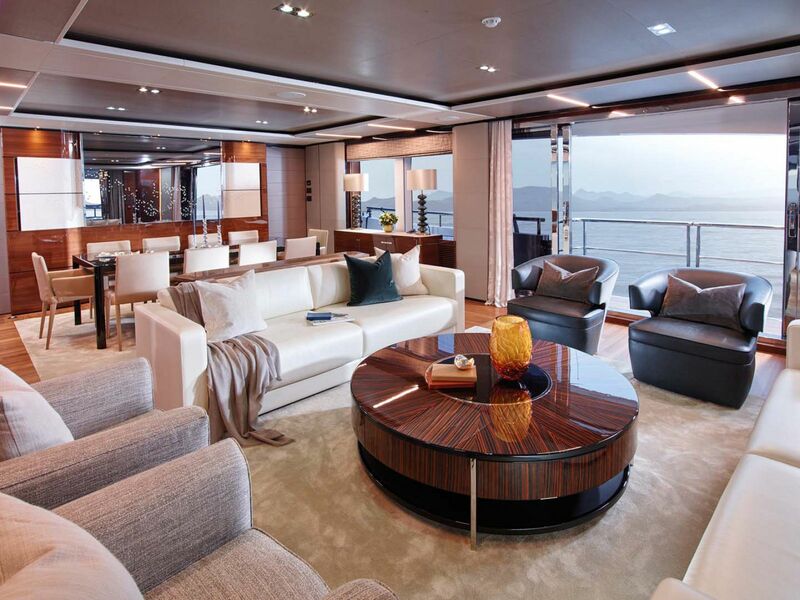 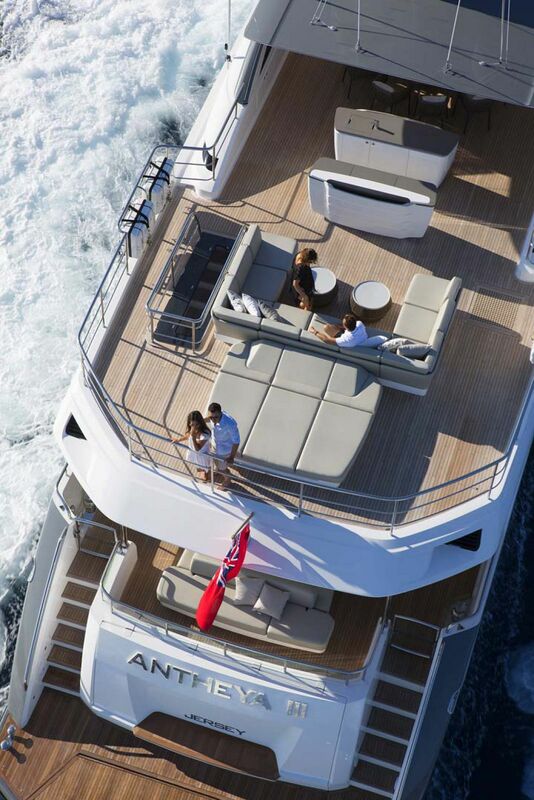 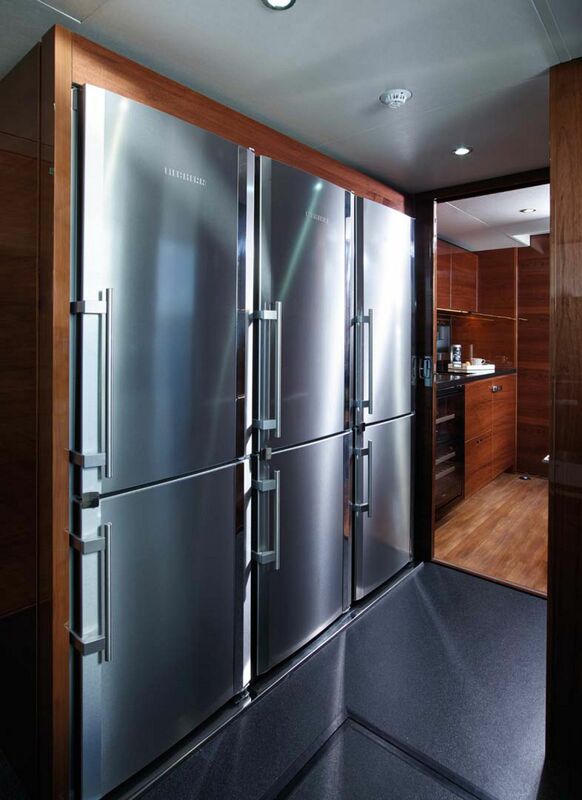 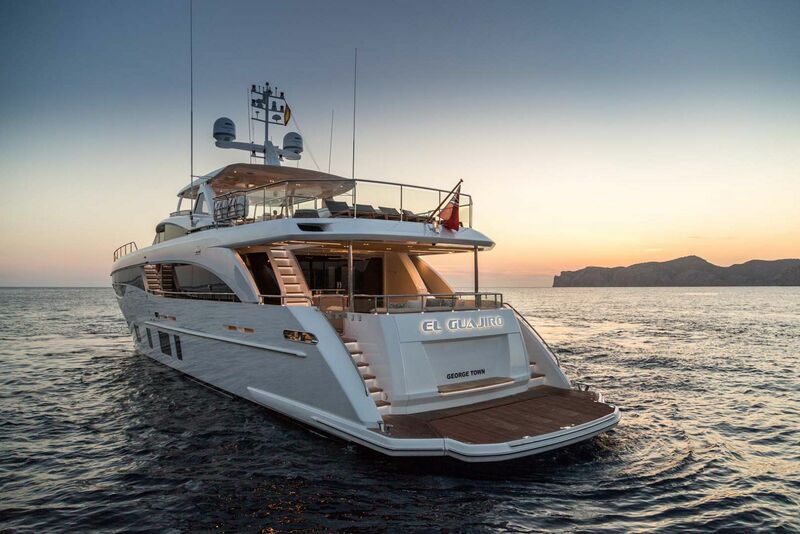 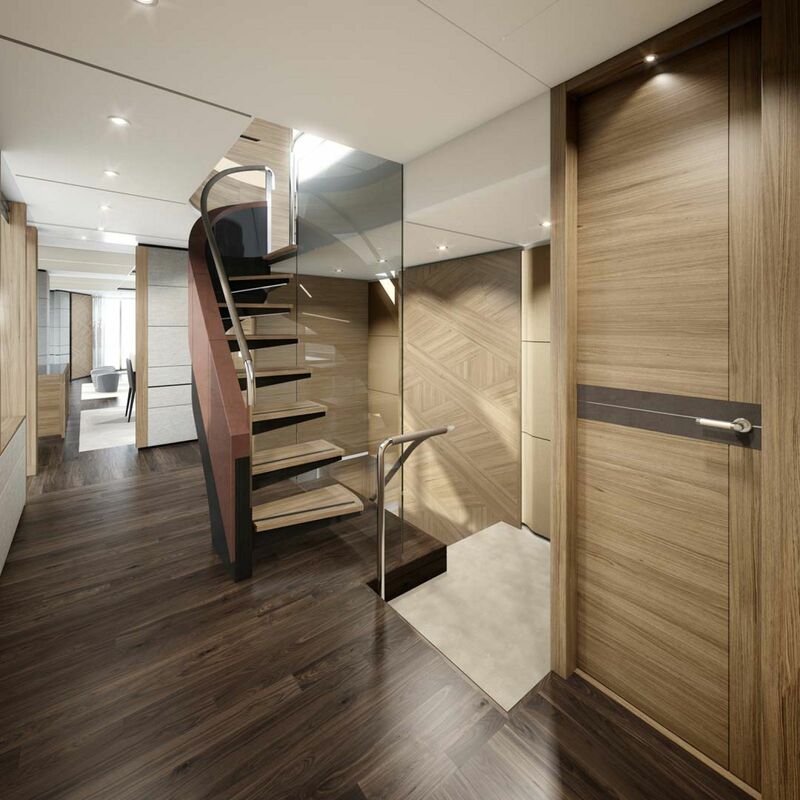 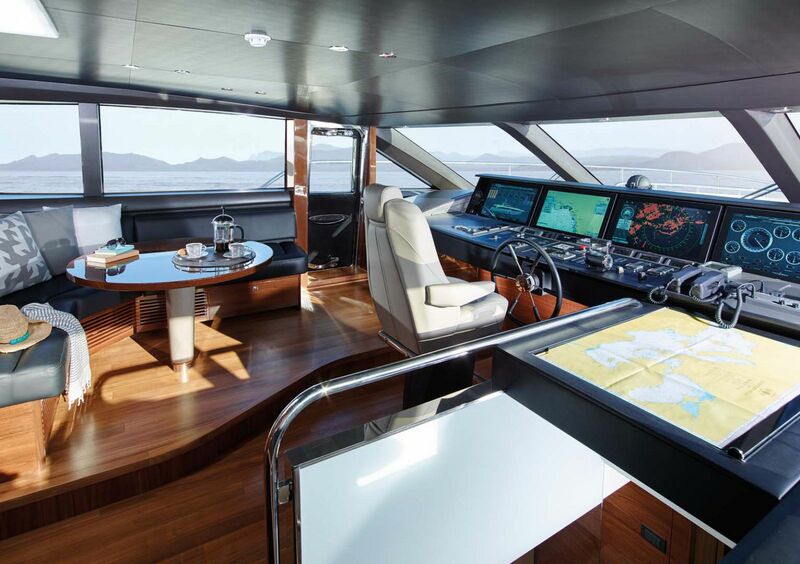 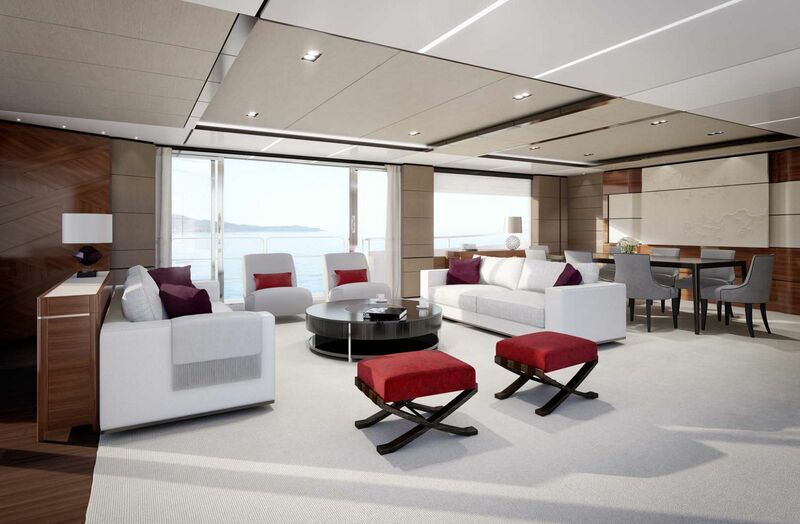 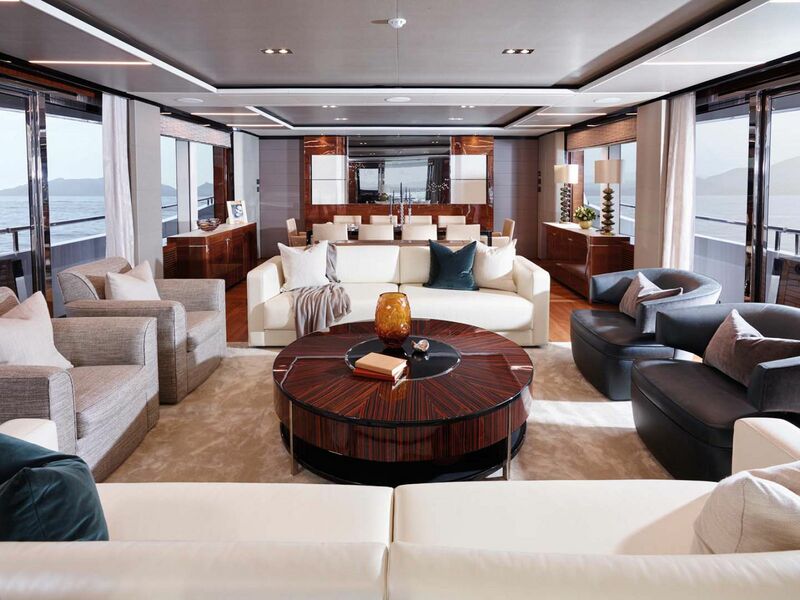 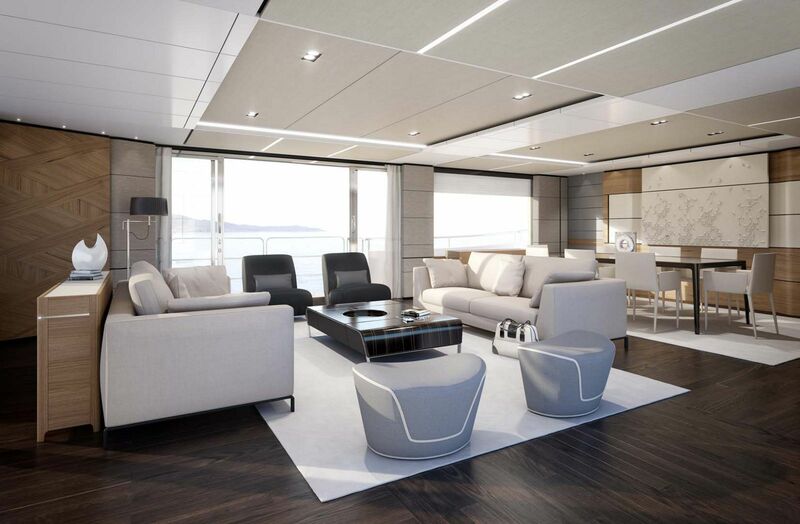 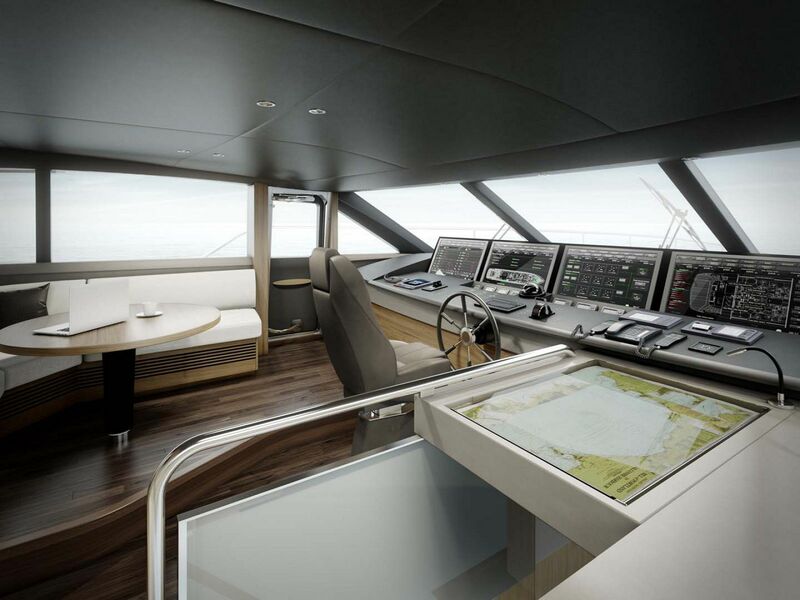 Princess Yachts video on the luxury aboard the M-class series. 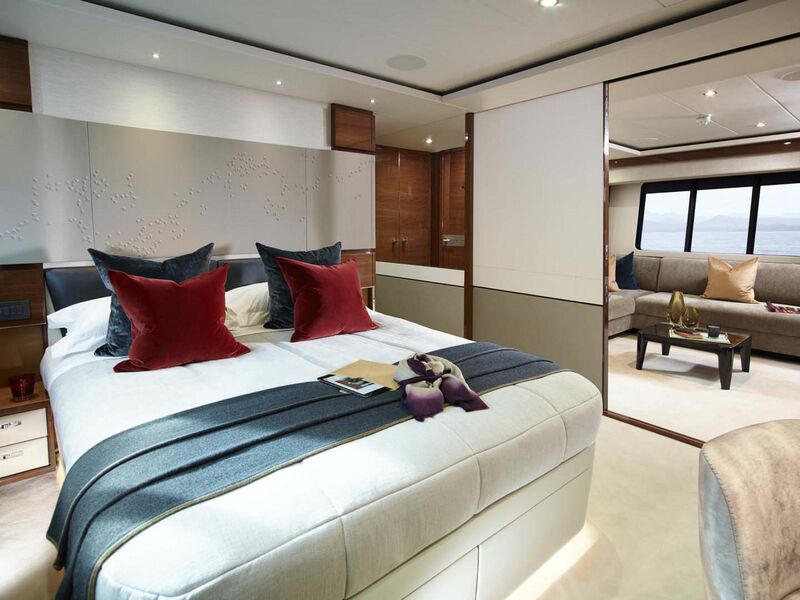 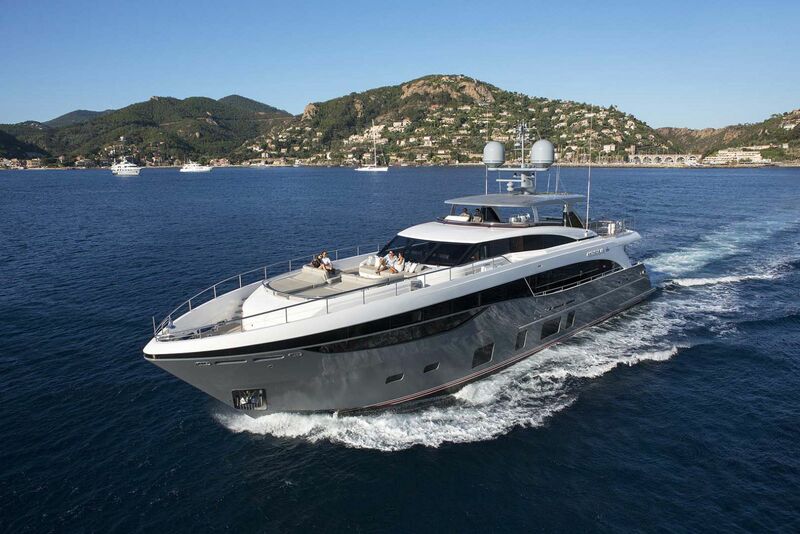 Princess Yachts releases a virtual tour of the 35M superyacht.